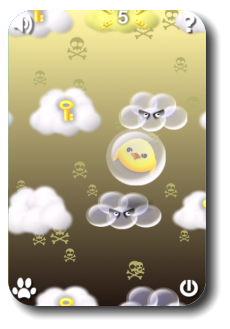 Tap, tilt and shake the screen to make Fat Chick bounce his considerable bulk off clouds and up into the sky in this unique rhythm-action game. 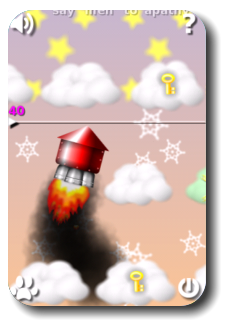 Fat Chick will encounter magical coffee, his own spaceship, lightbulbs, plate-mail armour and much more. 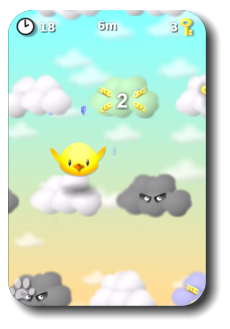 With its unique combination of humour, cute graphics and compulsive game play, Flaboo! will keep you tap-tap-tapping until the wee hours of the morning. ® iPad, iPhone and iPod are trademarks of Apple Inc., registered in the U.S. and other countries. App Store is a service mark of Apple Inc.